Hey everyone just wanted to update the blog with a silly and strange little doodle I created over the weekend. Unfortunately for me I am currently unemployed being laid off from my fulltime job so I need lots of things to do during the day. What better to do than to draw? I have a book on my shelf I got several years ago called, "Artistic Fitness." 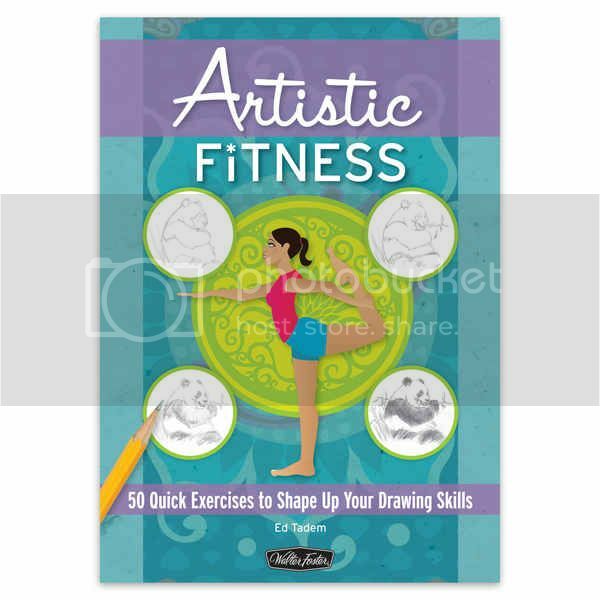 It's a book for people who are interested exercising their creativity and improve their technique with 50 different exercises. I thought this would be a productive time waster and give me an opportunity to draw things I wouldn't normally draw. The first exercise was drawing a penguin. I sketched out the traditional penguin from the book was pretty bored with it so I decided it needed to be a rebellious penguin. Not only did he dye his feathers and decide to fashion himself a mohawk he has multiple piercings and a temporary heart tattoo on his fin. He might just give his penguin mom a heartattack! Hope everyone has a great week! !